The Village of Memramcook is the latest group to call on the New Brunswick government to bring in a moratorium on shale gas development in the province until concerns can be addressed. The Village of Memramcook is the latest group to take a stand against shale gas development in the province. 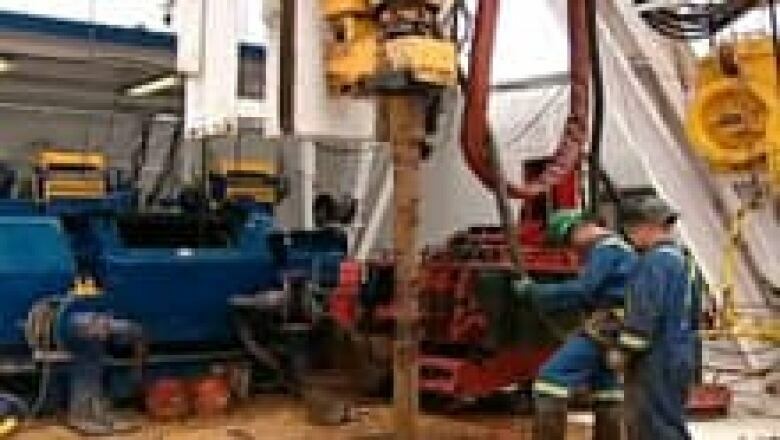 Village council unanimously passed a motion Monday night, calling on the New Brunswick government to bring in a moratorium on all exploration and drilling until the concerns of residents are addressed. Mayor Donald O. LeBlanc said council took about a year to consider the issue, collecting and reviewing information. But with the election coming up on May 14, council members wanted to take a position, he said. 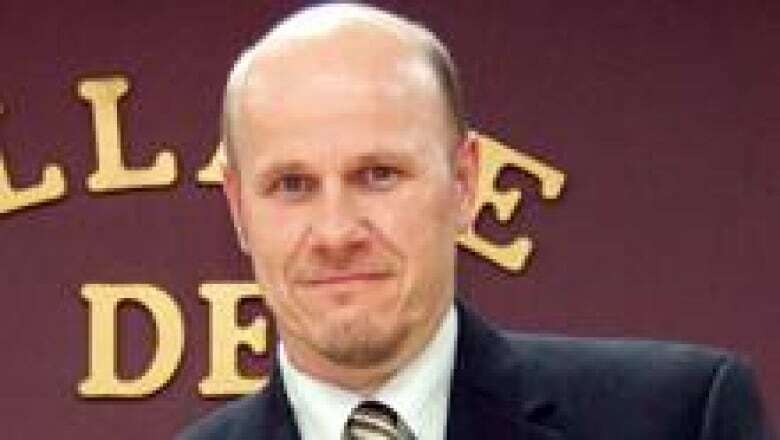 "I think it adds Memramcook to the list of different organizations — a couple of weeks ago we had the doctors asking for [a moratorium on] shale gas — so maybe we're sending a message to other municipalities of taking a stand and that's what we are [doing]." LeBlanc said the crowd in council chambers applauded when the motion was passed. He estimates about three-quarters of Memramcook residents are opposed to shale gas development. He said many have signs on their front lawns that read: "Say no shale gas." Among those opposed is Patricia Léger, of the group Memramcook Action, which has been lobbying for a moratorium on shale gas development. "I'm really proud of them," she said. "I think it's a brave move and there are other communities that have taken a stand, but we're proud that we're the first French community and we hope that it sets an example for other people to present to council because if you don't pose the question, they might not take the stand that they might be perfectly willing to take." Léger calls the moratorium a victory. "Government's responsibility on every level is to protect its citizens and its environment from harm. And I feel that that got done last night and I think we have to celebrate those moments," she said. "Personally I feel, you know, when I go out my door and I can see Albert County and the trees and everything and the environment can't protect itself, it needs people to stand up." Alward's government has faced mounting criticism in the last year over shale gas exploration and the use of the controversial hydraulic fracturing process. Opponents of the process say it could have a negative effect on local water supplies and many of them have held protests across the province. The Opposition Liberals have repeatedly called for a moratorium on shale gas activities in the province. Energy critic Brian Kenny has said a recent poll shows more than 80 per cent of New Brunswickers want a moratorium. The Conservation Council of New Brunswick filed a 16,000-signature petition, calling on the government to abandon its plans for shale gas exploration. Last month, the New Brunswick College of Family Physicians also called for a moratorium until more research is done. The group, which represents about 700 family doctors in the province, is concerned about the potential contamination of public water supplies, as well as possible air pollution or toxic spills. Four scientists at the University of New Brunswick have released an opinion paper, saying they have water-related concerns if hydro-fracking is used to extract shale gas. Their concerns include the amount of fresh water required and the treatment needed for waste water. Premier David Alward have committed to introducing an environmental protection plan this spring that would cover industrial developments. Alward has said he wants to impose the continent’s toughest shale gas regulations on companies working in the province. Meanwhile, Windsor Energy Inc. has been granted a five-year lease to continue exploring for oil and natural gas in southern New Brunswick. Drilling could begin next year, with government approval, the company's chief executive officer Khalid Amin has said.